In case you missed the memo, Mother’s Day is coming up quick. All moms want to feel appreciated, and we know that their unconditional love may be something we take for granted. So if you are in a pinch for some last minute gift ideas, look no further. Whole Foods and Instacart have decided to team up to deliver fresh bouquets of flowers for mom. The app has delivery fees starting at $3.99 but is free for first-time users. Instacart allows users to pick anything available at a grocery store for delivery, so it’s simple to add chocolates and even things like a charcuterie plate if you’re looking to shower your mom with fancy eats. Get your mom something sweet and elegantly adorned from Austin Cake Ball on Burnet Road. You can also shop online for small or large assortments in various flavors including Mexican Chocolate with a hint of sweet cream buttermilk, or the rich Tiramisu filled with Kahlua flavored mascarpone. Remember, it’s the thought that counts but we know Mother’s enjoy a bit of pampering on their special day too! 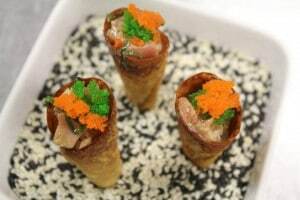 Crave Catering has gone so far as to shape our own cones to create unique appetizers that are perfect for standing events where networking is a must. Check out the pictures of some of our cone-creations! Cravers! Spring is almost here and things are gearing up for a warm and sunny season that will roll into what we hope is a great summer. As always, here at Crave we follow industry trends in order to deliver top of the line service and food for our clients as well as staying savvy in the fast paced catering world. New trends have a big impact on event planning every year, and as our clientelle develops new tastes we want to be right there with them! Let’s take a look at what event planning in 2015 is going to look like. While only an estimated 1 in 133 Americans has celiac disease, gluten intolerance is not the only driver of this trend. 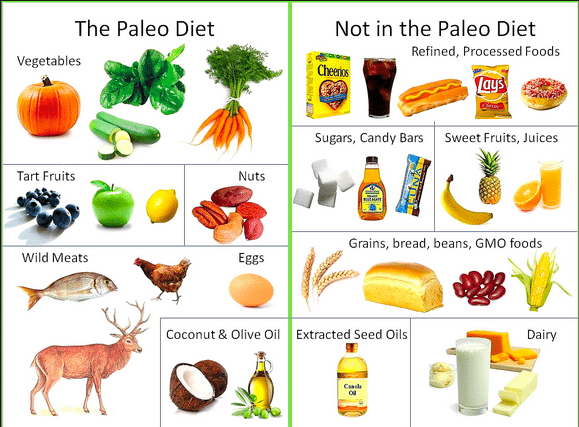 Grains that don’t contain any gluten like buckwheat and quinoa offer more nutritional value than others which directly corresponds with the health concious consumer. Guests always find that a little entertainment can go a long way. 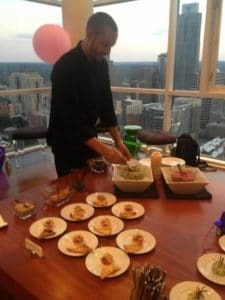 In 2015, expect to see a lot more interaction from the catering crew, turning a traditional venue or party into a memorable night by watching chefs preparing dishes to order or demontrating cooking techniques. Have you seen any trends sprout this spring? Let us know by commenting below or on our social media sites! The “Do-it-yourself” (DIY) philosophy has become a very popular trend across a lot of industries the past couple of years. There is an important facet to this philosophy that involves learning and growing as an individual. Take cooking for example— in the hope that people stray away from buying processed, frozen food or even fast food, cooking for yourself and teaching others in your family how actually empowers them for the rest of their life. 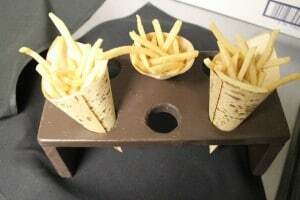 Now when it comes to catering, there are a variety of ways to do things yourself, per se. We have set up anything from DIY bloody Mary bars to build your own dessert stations that allow guests to let their imagination run wild with their food. Crave Catering also features a chef showcase for smaller gatherings that want to see how our dishes are created. One of our chefs comes out to the event to demonstrate how to make one of our dishes or appetizers for the guests to gain more insight into the catering world. There is something about seeing chefs create masterpieces with food that gets us really excited todive in and try them for ourselves! Check out our chef showing some guests how to make tuna tartare! 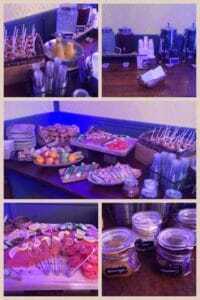 Flexibility has been one of Crave Catering’s strongest attributes. While we typically cater to a niche market of weddings, we have always been able to accommodate and expand our creative menus to a wide range of events. 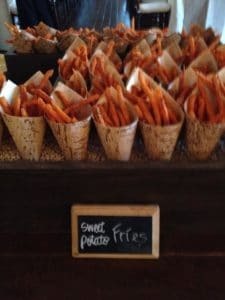 “Weird Austin” continually keeps us on our toes, with creative catering challenges at festivals like South by Southwest and the Formula 1 races, to big corporate dinners or parties. 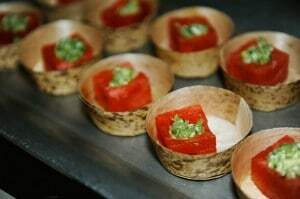 Some of our favorite events have been the most challenging, forcing us to step outside of our comfort zone to create dishes that no one has thought of before. This flexibility is what drives us to come up with new ways to serve our clients. We wanted to feature some pictures of our variety of events in order to showcase that flexibility and what it means to us be able to cater any event your imagination can come up with! While not quite a “new” trend, having a pet in or at your wedding has become increasing popular over the years. What’s cuter than your niece being the flower girl? Oh yeah, your niece AND your puppy being flower girls. There are many ways a couple can incorporate their furry (or even feathery) pets in the ceremony, from ring bearer dogs to save-the-date pictures with kittens. We advise to hire a pet sitter or someone to watch over your pet to ensure you can enjoy your wedding without worrying whether they get into the chocolate cake though! 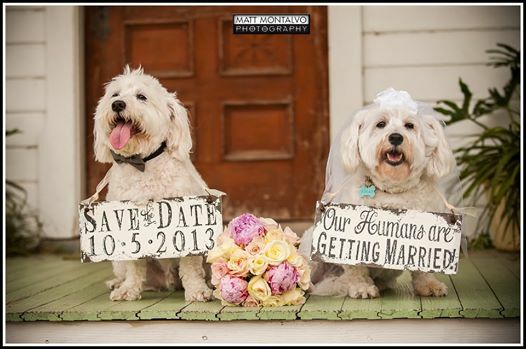 A wedding we catered used their lovely pets for their save-the-date invitations which were absolutely precious! Check them out below, what well-behaved pups! Honestly, this trend will never go out of style. Where do we even begin with cheese? With the immense styles and varieties, you really can never go wrong. 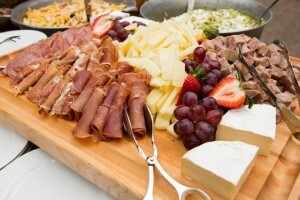 Check out one of our charcuterie boards chalk full of brie, white cheddar and roast beef slices. We are a HUGE fan of the push pop trends. They make us reminisce on our childhoods and are not only fun but absolutely delicious. 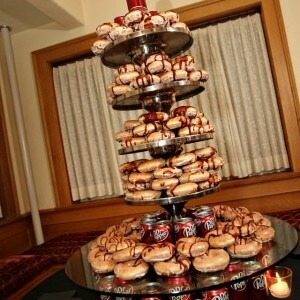 Perfect for receptions or even an alternative to a groom’s cake. Pictured are Crave’s strawberry shortcake push pops. Yum! Stay tuned for more trends and catering tips of 2014 from the team here at Crave Catering! There are so many good things about Austin it would be a little hard to talk about them all in one blog post. So what we’ve decided to do is split these attributes our beloved city has into separate posts. Keeping Austin Weird one post at a time at Crave Catering! On the agenda today: BRUNCH. This phenomena that has swept over the U.S. has people waiting in lines for hours just to indulge in a couple of mimosas and a bloody mary or two with friends. Come one, come all– from the weekend warriors to the early risers, brunch in Austin has something for everyone. Austinites are now so familiar with the concept of an “inbetween breakfast and lunch” idea that the restaurants around town provide pretty phenomenal menu choices and drink specials during the weekend. Below are some of Crave’s favorites, as well as some we might not have tried yet, but are most certainly on our weekend bucket list! So try something new this weekend and join the brunch bandwagon. (It’s got a nice ring to it– “brunch bandwagon”) We promise it’s a great way to spend your Saturday or Sunday. Taverna| 258 W 2nd St.
Not only does this place do Italian specialties splendidly, they even have weekend brunch pizzas that are sure to satisfy you. The Deal: During weekend brunch hours — Saturday 9am-3pm and Sunday 9am-4pm — get your drink on wit with $1 Mimosas and Bellinis. Amazing food made from scratch, this cafe is in the heart of South Austin. The Deal: $2.50 mimosas served ALL THE TIME. Can’t get much better than that! The bananas foster french toast is insanely delicious! The Deal: On Sundays 11am-3pm, get $3 Bloody Marys and $6 mimosas with free refills. So if you find yourself in a brunch rut, come out and try some of these new spots. We guarantee you it is worth it. The Spring season has gotten off to an icy start, (hail the size of golf balls in Austin!?) but the April showers are around the corner. Soon enough we’ll have bluebonnets and wildflowers spread throughout Texas painting our countryside with magnificent colors. 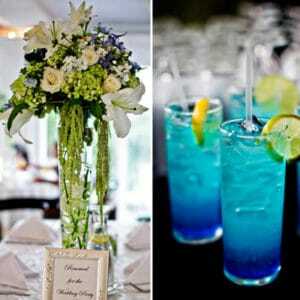 While this does give rise to some allergies, it also brings new wedding trends for Spring. 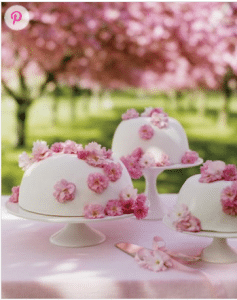 Martha Stewart Weddings illustrates some great DIY ideas that will make your spring wedding the warm and joyous celebration you want it to be. These are some of our favorites! 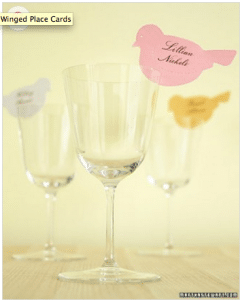 The bird motif trend has been pretty well established, but that doesn’t mean it can’t put a spring in your wedding decorations. 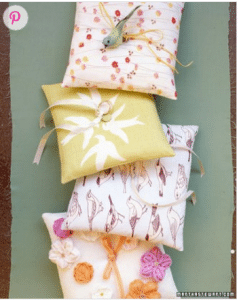 These bird ring-pillows and winged place cards are perfect examples. Use warm pinks, oranges and yellows to add an accent to a neutral palette for that contrast to shine through. 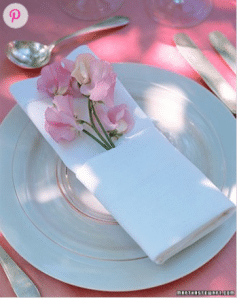 The Spring obviously means flowers, but your guests will be pleasantly surprised when they find fresh flowers blossoming out of their napkins and surrounding the wedding cake. 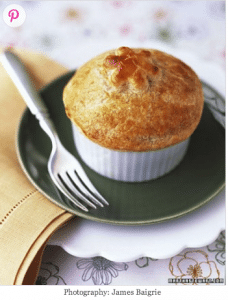 Nothing better than using vegetables that are in season, and this flaky pot pie would make a perfect first course at any spring reception. The puff pastry can be filled with anything from asparagus to carrots and potatoes and served hot. 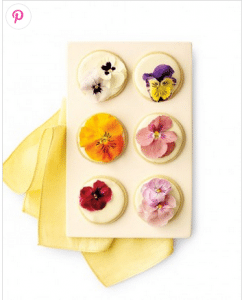 Edible pansies add a delightful aesthetic to the sugar cookies below, just use any cookie recipe you wish and top with royal icing and a flower or two! Be sure to check out all things Spring on this Martha Stewart Feature of Good Things. As the year quickly comes to a close, we were curious in compiling some of the biggest food trends 2013 had to offer. The staff at Crave enjoys keeping up with food trends that appeal to our clients and we pride ourselves in taking on new challenges. Check out some of the hottest food trends of 2013 and let us know what you think about them! 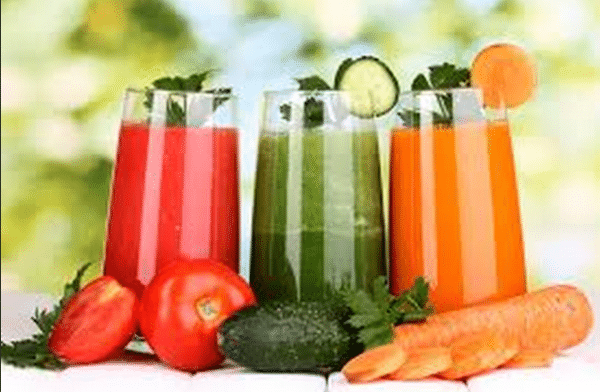 In 2013, the juicing/juice bar industry has now become a $5 million dollar industry, with avid juicers demanding fresh vegetable and fruit juice– at times in replacement of meals throughout the day. The verdict is still out on whether or not juicing or eating the veggies raw is more or less nutritional, but we sure do love a good carrot, apple and kale juice in the morning! The “mixologist” now surpasses any old bartender, creating an incredible variety of drink combinations that will blow your mind. 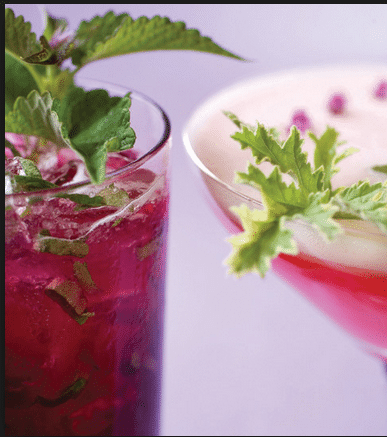 From fruit and herb infused liquors to their own special concoctions, these mixing artists will create something palatable and ridiculously new age for any cocktail enthusiast. Lays Sriracha flavored chips? Sriracha inspired subs at Subway? This trend has hit the ground running. 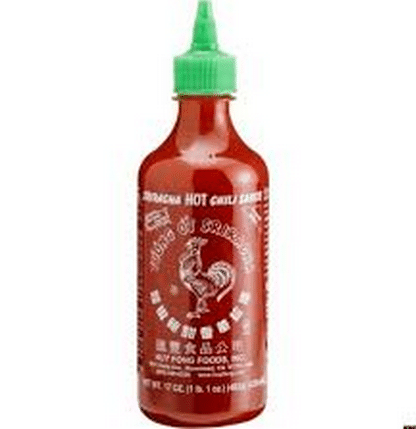 Everyone from college students and their ramen to sushi chefs have showed their love for this Asian hot sauce in 2013. Unfortunately, the California-based manufacturer has shut down production because of a community protest; so either stock up or move on from this 2013 trend quick. 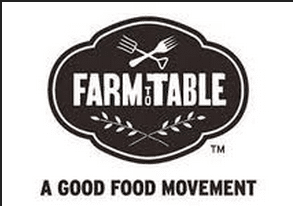 All of 2013 was about getting back to our roots and supporting local farms and businesses. It has stimulated the economy and made cooking for our families and dining at local restaurants that stock up their kitchens with food from farms less than 100 miles away the greatest of treats. You couldn’t ask for fresher food unless you literally decided to harvest it from the ground yourself. If you can think of any other trends of the year, comment below! We’d love to hear your thoughts.